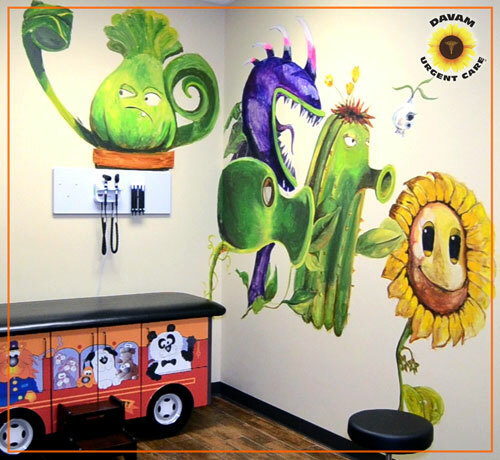 At Davam Urgent Care, we offer Children’s Urgent Care services in the Conroe area. When your child is not feeling fell and your local pediatrician is unavailable, our clinic is the best choice. Davam Urgent Care is open daily, 8am-9pm, and walk-ins are always welcome during normal operating hours. Our convinvent hours allow for your child to be seen without missing any school or important extracurricular activities. Illness and Injury Treatment- Davam Urgent Care can provide treatment for minor and moderate conditions for children of most ages. This includes multiple conditions ranging from the flu to a broken bone. Diagnostic Services- We provide x-rays, in house labs, strep testing, flu testings, ekgs, and many more. Additional Medical Services- Sports and School physicals are offered for children at a low cost. If you are suffering from an illness and in need of a Children’s Urgent Care clinic located near Conroe, visit Davam Urgent Care located at 6022 FM 1488 in Magnolia. Open Daily, 8am-9pm. Don’t forget to check-in online to reduce your wait time.